What do Epoch, Submerged, and City of Brass have in common? Not much, other than that they were all developed by Uppercut Games, an Australian studio that has become well known for producing games of exceptional visual quality. 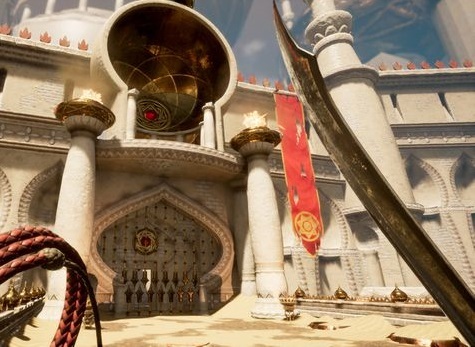 City of Brass, however, has really caught my attention, due to its One Thousand And One Nights (also termed "1001 Arabian Nights" in the west) influence. One of my favourite books, the very bible on fantasy Middle East aesthetics and narrative, 1001 Arabian Nights is nowhere near used enough as a source of inspiration of games. So naturally, when an Aussie team decided that they would tackle it, I was intrigued. Then the Early Access release landed on Steam to a pretty positive reception, and now I am incredibly excited for the eventual console release. It's a great setting for a game, too. For those who haven't read the book, the City of Brass is an Atlantis-like lost city, deep within the Sahara, and the book tracks one expedition to try and find the city. And, of course, once there they run into all kinds of horrors. It's exotic, magical, full of adventure and action... in short, it's the perfect setting for a videogame. 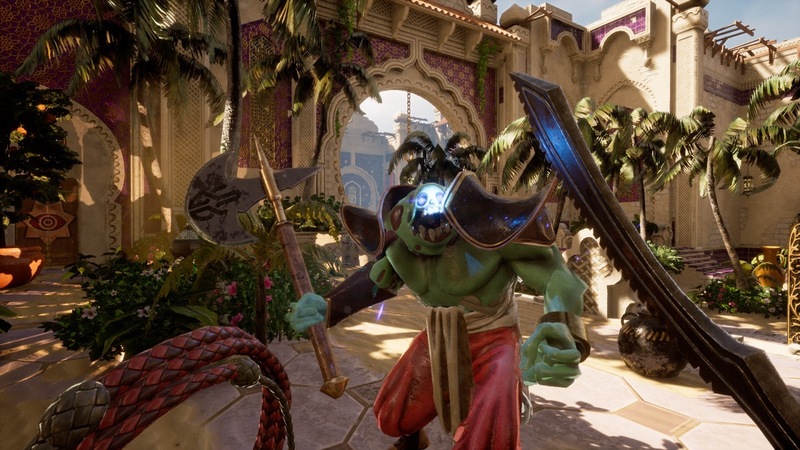 So I felt it was time to sit down with Uppercut Games' co-founder, Ed Orman, to have a chat with him about the game, what the team was looking to achieve with it, and why Aussies would be inspired by 1001 Arabian Nights. Matt S: I take it you are fans of 1001 Arabian Nights? What is it about the book that inspired you to build City of Brass? Ed Orman: I was reading one of the translations of the Arabian Nights, and when I reached the story of the City of Brass, I was immediately hit with how creepy it was - it reminded a lot of some early H. P. Lovecraft. That setting was a really good match for the game we'd been prototyping: we wanted a city where players would find treasure in abundance, and danger. Matt S: I've played games set in a fantasy Middle Eastern setting that range from platformers (Prince of Persia), to RPGs (Al-Qadim) and arcadey shooters (Magic Carpet). Why did you settle on the gameplay structures that you did for City of Brass? Ed Orman: Much of the gameplay was initially driven from the starting point of our desire to create a procedurally generated game. Procedural generation requires you to focus more on systems than scripted gameplay. Once we had that basic structure in place, the real game changer was deciding to focus on the whip: it is just incredibly versatile, and we're always looking for ways to make it more useful. Matt S: This is a setting that is rich for storytelling - 1001 Arabian Nights was all about telling stories, after all! What kind of narrative do you hope players take from their time with City of Brass? Ed Orman: We've actually gone fairly easy on the narrative this time around. While there is a backstory for the city and why you are there, and there is an ending to the game, we don't delve too deeply into it. That's largely because - being a rogue-lite with plenty of pressures put on the player - there's not a lot of "breathing room" for people to just sit and soak in a complex story. Matt S: Can you describe for me the process that you went through to develop the aesthetics - what kind of source materials did you study... and did you take a trip to the Middle East to see it for yourself?! Ed Orman: I would LOVE to have gone to the Middle East to get some first-hand exposure. Sadly, time, budget and family commitments rule that out. At the start, Andrew (James, another co-founder) did look at a lot of statues, paintings and prints from the area and the period. In particular, we looked at the paintings by René Bull - just terrific stuff. But we never set out to make an accurate representation of ancient Middle Eastern cultures, because we knew we could never do it justice with our small team. Instead, we're working from a sort of gestalt version of the Arabian Nights that has entered popular culture. Matt S: We don't see many games set in the Middle East - fantasy or otherwise. This has always struck me as odd because it is such an exotic, magical setting that you'd assume that people would lap it up. I've been working under the assumption that the political climate, and the hostility towards the Middle East, makes creators uneasy about setting their games there. Were you concerned that the setting might prove to be an inhibitor for some players? Ed Orman: It would be terribly sad if that were true. No, it was never a concern for us. I agree that it's an incredibly rich mythos, and I've love to delve even deeper if I could. Matt S: How close are we getting to a full release (and a release on consoles)? Has anything in player feedback surprised you so far? Matt S: Uppercut Games is starting to build quite an eclectic mix of games in its portfolio. Are there any common threads between them that you'd say are the hallmarks of an Uppercut Games game? Ed Orman: We like to pursue opportunities as they come up, which means we have ended up with a pretty diverse set of titles under our belts so far. The common thread I'd point to is that we always aim to make the best possible game we can for the platform we're releasing on. 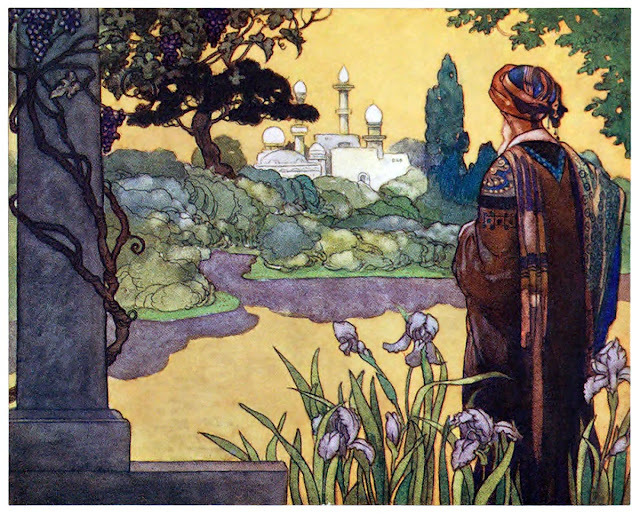 Matt S: Is the 1001 Arabian Nights setting something you could see yourself working in again? Ed Orman: We've barely scratched the surface, so yes I'd love an opportunity to work on it again. But I'd also like to see is how other game developers - especially ones from the Middle East - would interpret their own literature great from a gameplay perspective.